When you are researching short-term care facilities it is important to know that not all facilities are created equal. People often choose facilities based on cost and proximity to their loved ones while simultaneously glancing over key details such as identifying if the facility is licensed, if they will bill you with hidden “extras,” or if their facility looks more like a hospital wing than a home. This is where The Bridge Care Suites sets itself apart from the rest. The Bridge Care Suites treats your loved ones as people not just as another patient. They take great care in ensuring that their guests feel cared for and fully accommodated. This is most notable from the moment you set foot on their beautifully landscaped grounds which include arched openings and an inviting rotunda and corridor. The Bridge Care Suites also provides many amenities such as relaxing spas, a cafe, theatre, business center and family game rooms. Above all, their expertise in offering short-term rehabilitative care has been rated 5-stars and their staff is truly there to serve. The Bridge Care Suites primary focus is on getting your loved ones home. They are proud to be the most technologically superior therapy center in the region and can boast about having the shortest length-of-stays of most rehabilitative facilities. 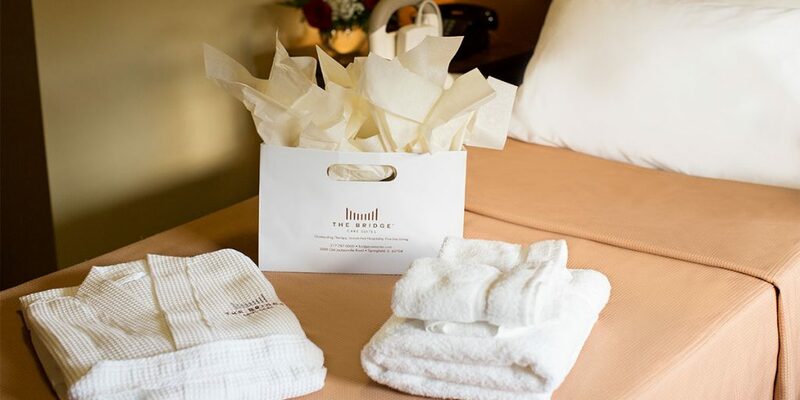 They do this by investing in the best technology and by employing the most talented staff in the area, to ensure that every guest is known, heard, and cared for with the utmost attention to their well-being. 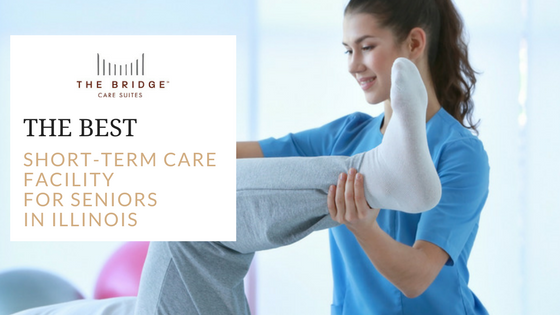 In addition to their award winning service by their skilled team, The Bridge Care Suites offers a myriad of therapeutic holistic disciplines to accommodate its guests including Physical Therapy, Occupational Therapy, Speech Therapy and more. As if that wasn’t enough, your loved ones rehabilitative wellness plan is supervised by his/her Physician or Surgeon and is carried out by licensed medical staff to ensure that each guest continues on the best track for a smooth and safe return home. The Bridge Care Suites mission is to provide the best service, care and healing for you and your family. With its many perks such as cable, wifi, and free amenities offered to their guests and family, you and your loved ones can rest assured that short term rehabilitative care doesn’t have to be stressful – it can feel like your home away from home. Let’s work together! Visit us at www.bridgecaresuites.com or speak to one of our rehab specialists 217-787-0000.